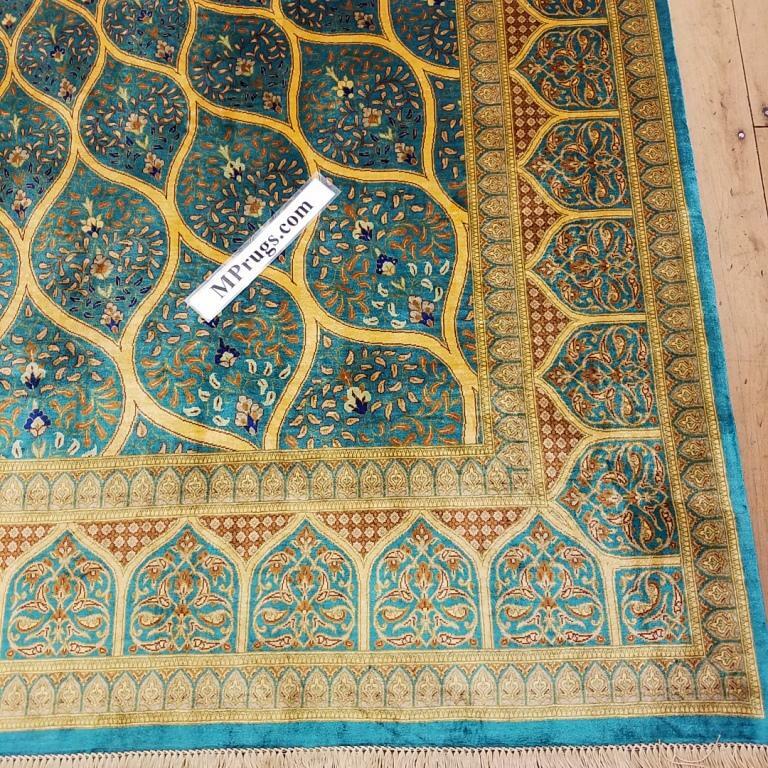 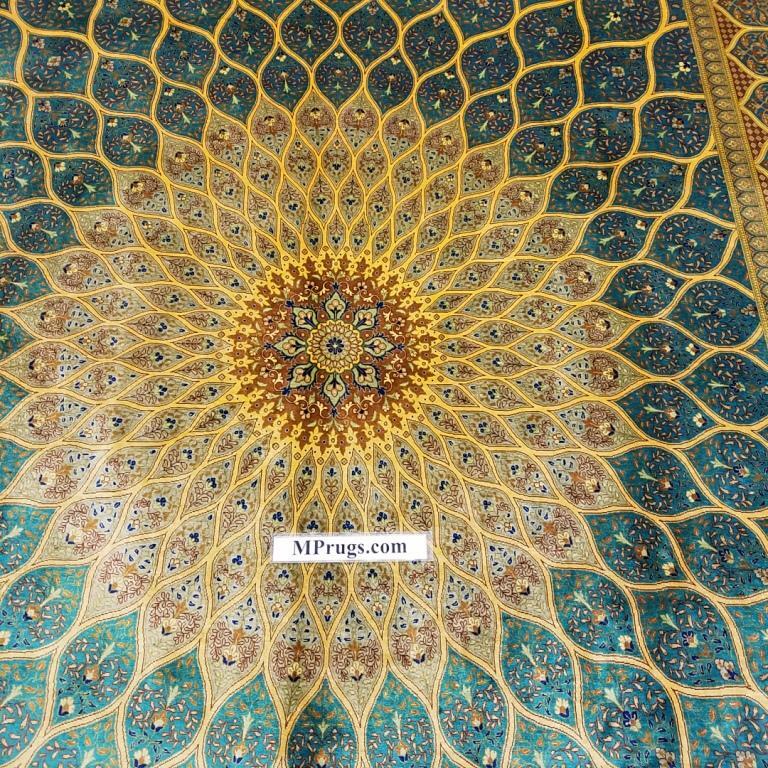 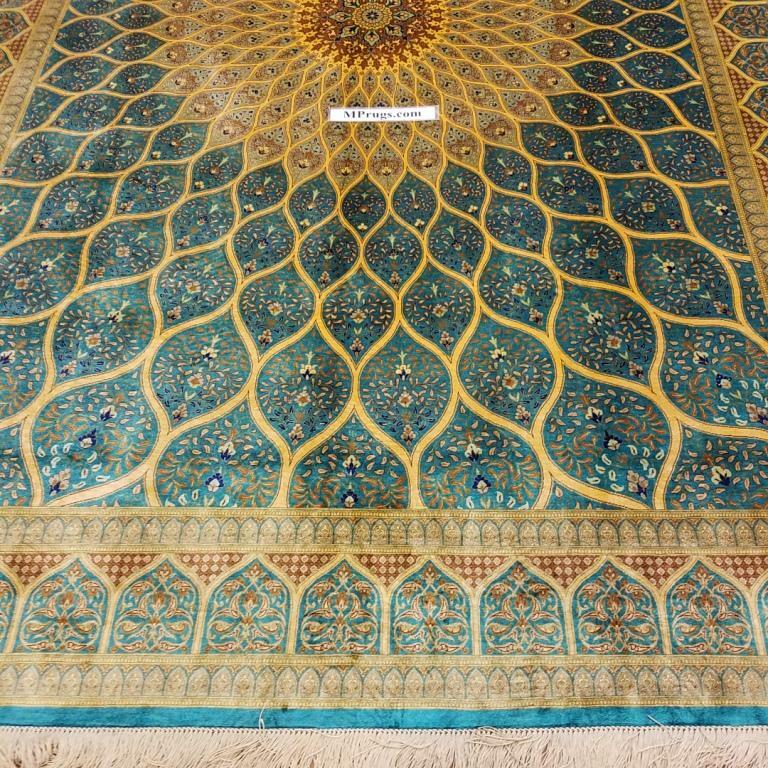 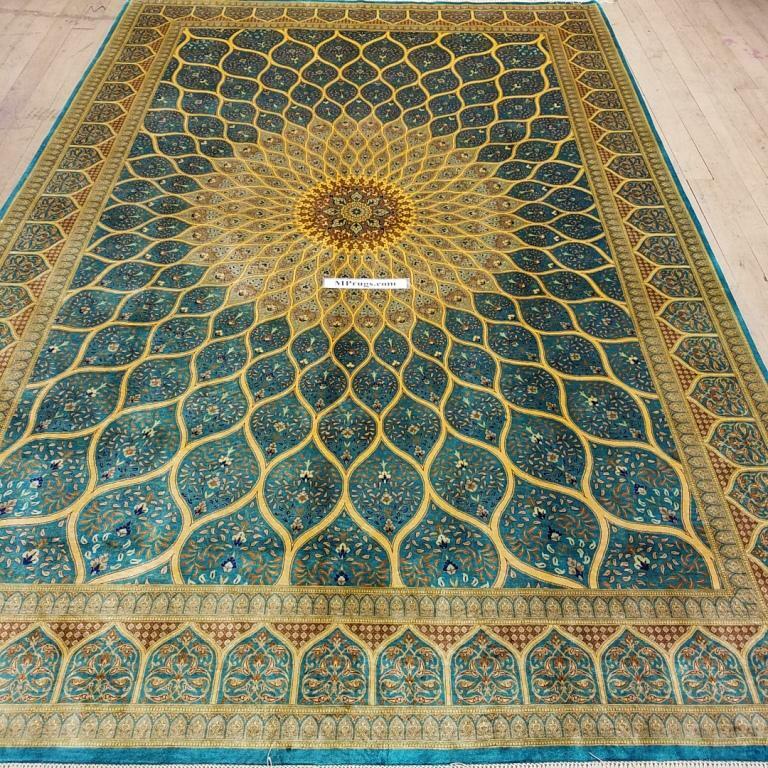 Very unique turquois blue colored pure silk Qum Persian rug with the very popular variation of the Gonbad design. 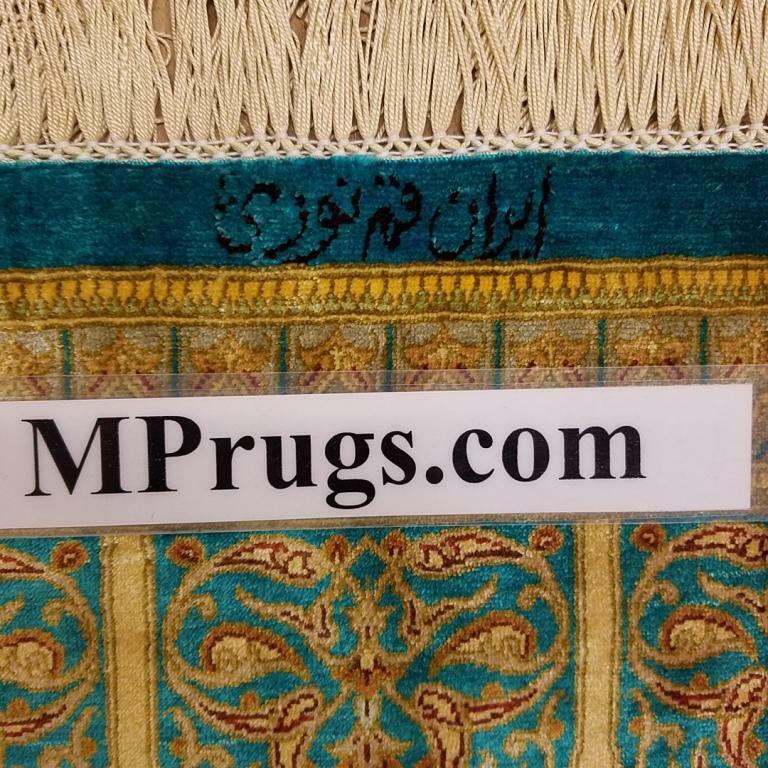 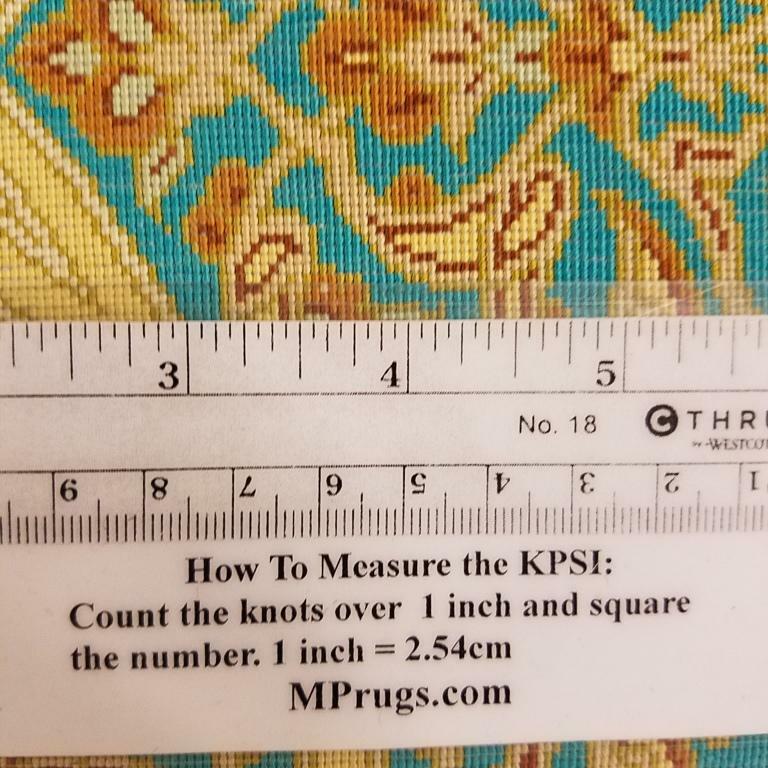 This tear drop Gonbad design is the most popular design in Persian rugs that I feature in my website and it's the first time that I was able to get one with this rare turquois blue color. 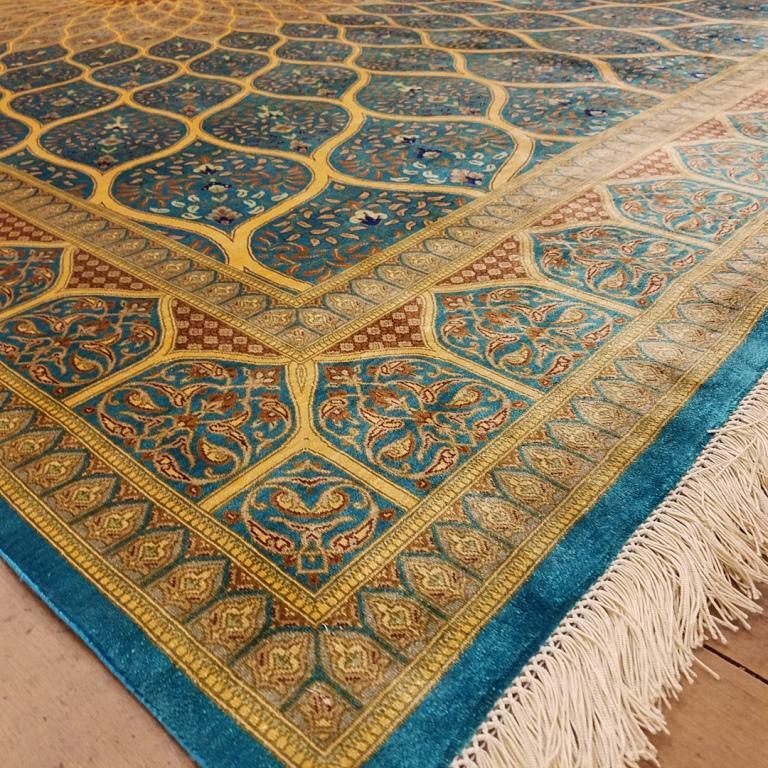 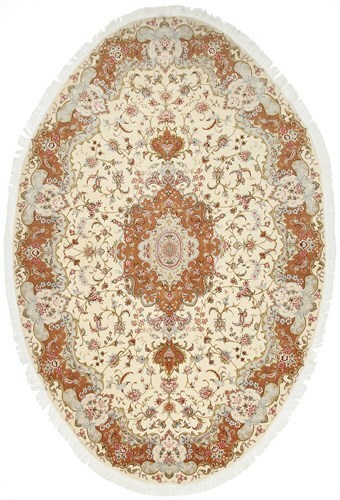 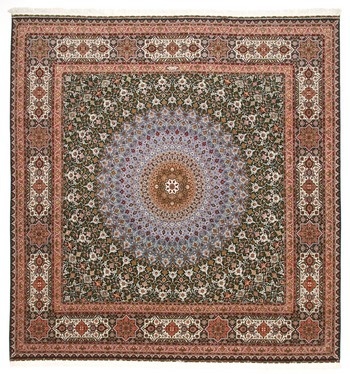 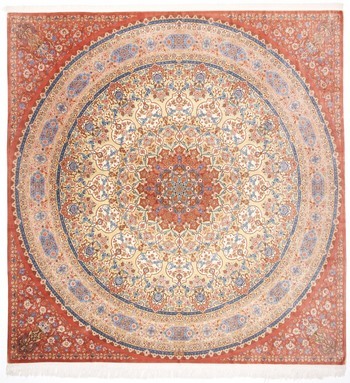 The showpiece quality is equally stunning and when you look from the light side, it looks as though you are looking at a completely different rug. 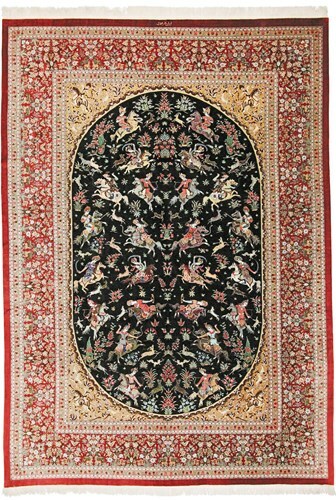 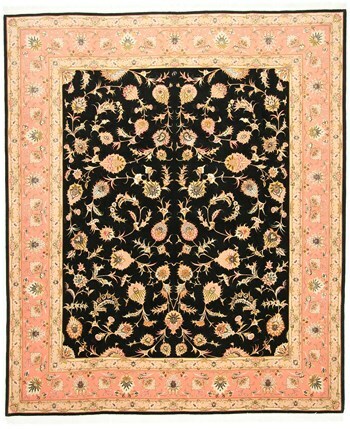 This is one of those Gonbad Persian rugs that I don't think will be around for very long and as with virtually all of my Qum rugs, it is also signed by the weaver.